When you’re looking to employ a specialist to help provide accurate and professional property advice, and carry out the necessary activities while managing your investment (or investment portfolio), it’s safe to say you’re not going to get your cousin’s best friend’s uncle’s mother-in-law to help you out. Importantly you’ll be looking to identify a respected industry professional who understands real estate, Christchurch, and of course, you and your needs. Considering you’ve just invested hundreds of thousands of dollars in a property, you’ll rely significantly on a Property Manager the most in the coming years. From the outside looking in, Property Management can look like a basic undertaking – find a tenant, collect rent, full stop. In reality, it is anything but – it’s an art form where experience and market education is required, the ability to juggle multiple balls in the air and of course landlord and tenant expectations. It requires a specific skill set that only those that have attempted to manage their own properties (and many have indeed failed) can fully respect. At McPherson Property Management we understand the dynamics of Property Management. It’s what we do. We understand the relationship between the initial investment, the required rental yield and the need to extract monthly payments that can service the longevity of the investment. But that is only half of the financial solution i.e. having the best rental rate in order for you to minimize the amount required to top up the mortgage repayment. The other half is about ‘fit’ – finding the right tenant that will physically look after your asset as their own and ensuring minimal tenancy vacancy periods (through longer tenancy periods i.e. happy tenants). So what makes McPherson Property Management number one in their field and the ones people turn to in times of Property Management need? Well, there are a number of personalities you need to look for when employing the services of a quality Property Manager and fortunately these personalities are what we deem as the minimum expectations for a McPherson Property Manager. The day in the life of a Property Manager can be turbulent. With emotions, finance and personalities intertwined with daily operations, the ability to communicate and negotiate is vital. Fairness, firmness, respect, empathy and communication are important in order to keep the ship afloat, and get it back on track when it veers off-course. No matter the role or position, the one trait we will always look for is Experience. In our case, experience in the industry, knowledge of Property Management, its systems, and overall, people – because that is the basis of the business. When things go wrong, you want to know that you can depend upon the person that has seen and dealt with the issue before. You get this with McPherson Property Management. With experience numbering over 35 years in the industry, as a team we have seen it all and have the ability to set things right. When considering a Property Manager, be sure to ask them about the most difficult tenant situations they’ve faced and how they dealt with them. You’ll shortly be able to weed out any pretenders! While the formal activities of the property managers job is important, it is vital that as an organizer our Property Managers are organising freaks as we’re always on call in terms of reactive measures – such as organising maintenance activities and rectifying rental arrears. Importantly they do what they say they will and carry through. At McPherson Property Management we support our managers through robust administrative and financial systems that allow them to complete their day-to-day activities and maximize their time productively. If you’re older than an 80’s baby, you’ll probably remember Mrs Mangle from the Australian Soap Neighbours – the local know it all and gossiper. We all know someone in the street that has been labeled with a similar tendency – they might call themselves leader of the local Neighborhood Watch. 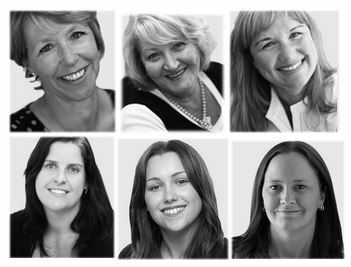 Our staff can attest to being the local know it all’s (and maybe a little gossip) – they know the Christchurch property market inside out. While abreast of local rental median values (and sale values), they also have their fingers on the pulse in regards to local schools, public transport, cafes and restaurants, amenities, shopping districts and anything else there is to know about a suburb or surrounding area. It’s difficult to find the right individual with a split personality that exudes these four personality traits, but in the case of McPherson Property Management it is a case of ‘like’ attracting ‘like’. Our staff are the best in the business and make it their prerogative to understand your financial and investment needs and put a plan in place to maximise this. With our training programmes, mentoring and support, you get a team approach to your property being managed – receiving value for money and a professional service that is second to none. So give our negotiators, wise men and women, organizers, and Mrs Mangles’ a call at McPherson Property Management to discuss your Property Management requirements. Let’s talk Property.